Champion delivers the dependable performance you can trust. 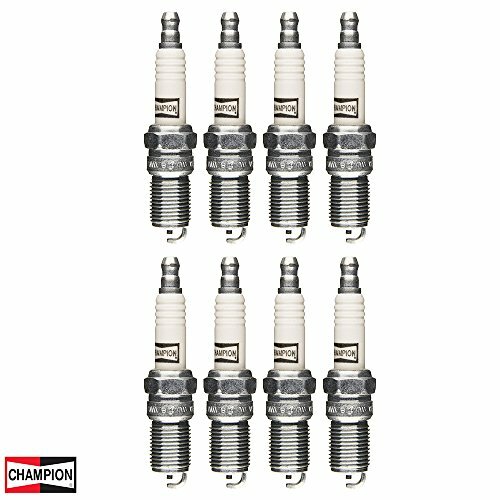 This Champion small engine spark plug with a copper core electrode provides increased conductivity and heat control for superior overall wear. 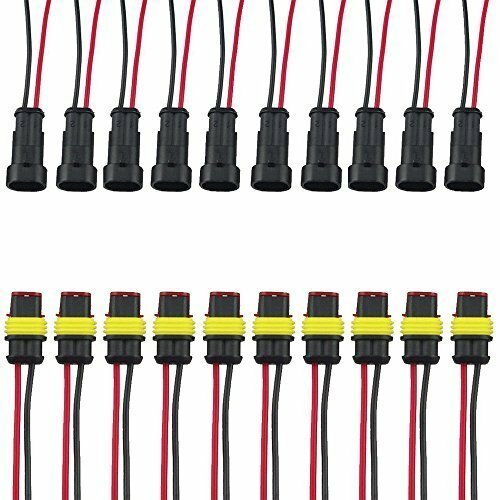 It is compatible with Passenger Cars, Powersports, Lawn and Garden, Snow and Marine applications. The iconic Champion brand has been a world leader in the manufacture of spark plugs for every kind of combustion engine for over 100 years. 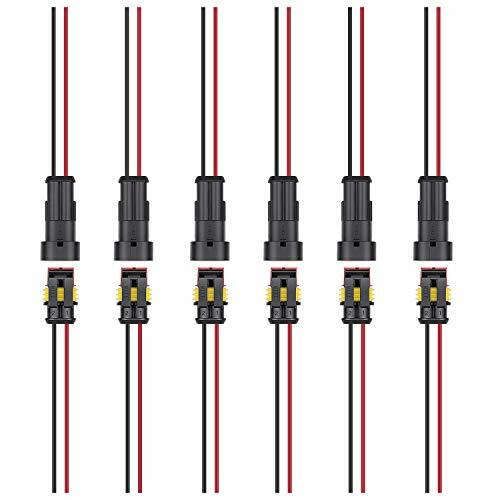 As a powerful symbol of performance driven quality, this experience and commitment has led to design enhancements that optimize the performance of every spark plug Champion makes. Champion understands the importance of OE fit and form replacement parts and knows that these parts adhere to the industry s toughest standards and to yours. Step-by-Step Instructions for Installing a Champion Spark Plug Step 1 If necessary, set the gap on the new spark plug before installing it. In the past, it was necessary to use a gapping tool to make sure the gap in the spark plugs was the correct size. Today, Champion spark plugs come pre gapped, eliminating the need for this step most times. You should double check that the gap is correctly set; check your owner s manual to find the distance for the spark plug gap and use a gap gauge or feeler gauge to check the distance. Step 2 Seat the new spark plug by hand; turning it clockwise at least two full turns. Once you have the spark plug snug, use the socket wrench with extension and spark plug socket to tighten it turning the plug clockwise. The plug s washer should be pressed against the mounting surface. Take care not to over tighten the plug; you can strip the thread on the head of the engine leading to costly repairs. You can also use a torque wrench to torque it to specification (OE service or repair manual). Step 3 Replace the spark plug wire boot or ignition coil and wiring connector. A plastic boot should click into place while a rubber boot may require a coat of dielectric grease on the inside of the boot for easy removal next time. Step 4 Repeat the removal and installation process for each spark plug. That s all there is to it! If at any point you run into issues or have a question, consult your mechanic. These instructions are for informational purposes only and should not be used in lieu of seeking professional advice from a certified technician. We encourage you to consult with a certified technician if you have specific questions or concerns relating to any of the topics covered herein. 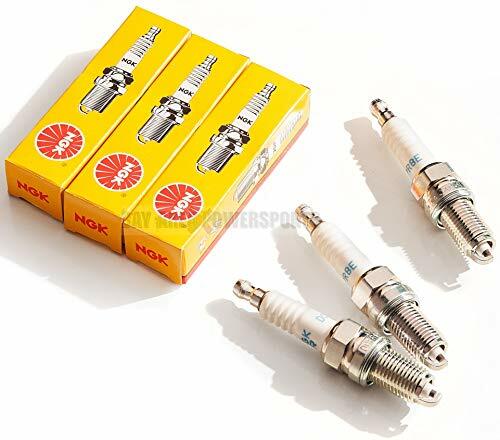 Warranty: Non automotive spark plug guarantee. When installed in accordance with Champion recommendations, Champion Copper Plus small engine spark plugs will meet and/or exceed the warranty requirements of the vehicle and or engine manufacturer. 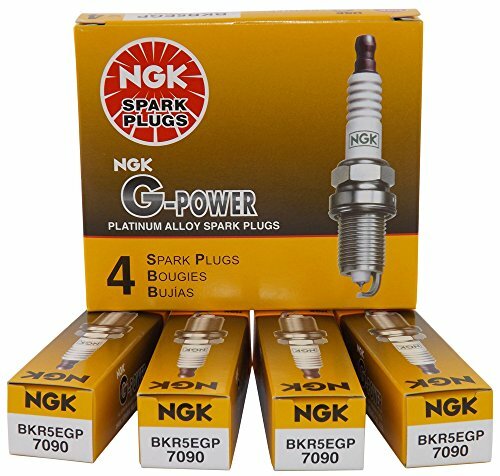 Brand: NGK | Manufacturer: NGK SPARK PLUGS (USA),INC.
Package 8 Black Spark Plug Wire Boot Sleeves(Note: only fit for vehicles which burning petrol), You Will Enjoy 12 months Once You Order From Us, Any Question You Can Contact With Us Via Email. ***PLEASE NOTE*** Only One SHINEHOME Supplier in Amazon. Purchasing from elsewhere will not offer you warranty. Make sure it is the right prat for your car before you order it. Produce Motorcycle spark plug from 1993. Passed ISO/TS 16949 system in 2009. Use automatic producing and assembly line from 2012. New automotive spark plug plant established in 2014 . 2. Copper-Glass Seal:bonds the center electrode and insulator together for a gas-tight seal. Maintains proper heat and excludes hot combustion gases. 3. Machine-Rolled Threads:For trouble-free installation and removal.Prevents seizingor cross-threading of the spark on removal. 4. The cuprum contact powder above and below has a wonderful capability of electric&heat conduction and airtightness. 6. 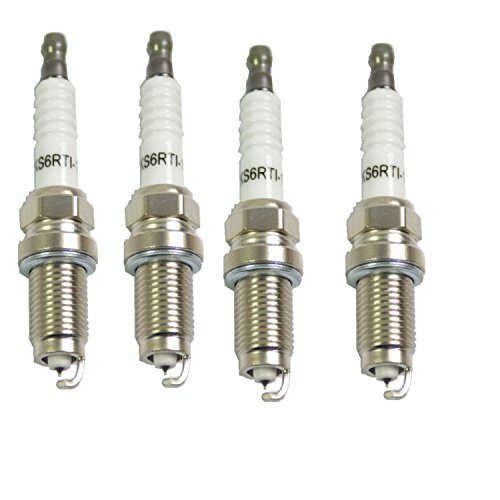 Using highest melting point material, it resists corrosion and oxidation toughly, with much longer service life than conventional spark plugs. Extreme performance upgrade over OEM spark plugs and provide a 40,000 to 50,000 mile service life. Plugs feature a fine-wire Iridium center electrode and Nickel-alloy ground electrodes for maximum engine horsepower and torque. Designed for fuel-injected and turbocharged engines. Trivalent Metal Plating has superior anti-corrosion and anti-seizing properties. Champion Iridium - the ultimate element. 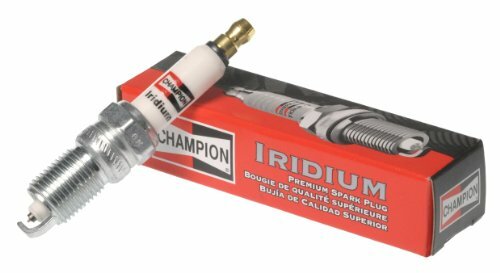 This spark plug s fine-wire iridium center and platinum ground electrodes provide the sharpest spark focus for maximum performance. 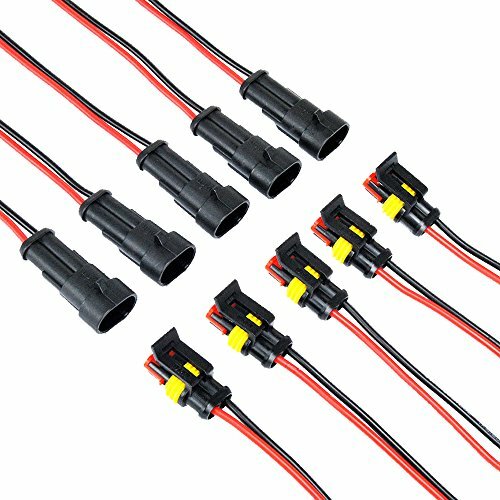 Compatible with passenger car, light truck and powersport applications, the exclusive heat-active alloy allows electrodes to reach optimal temperature quickly and maintains stable operating temperature under all load conditions. 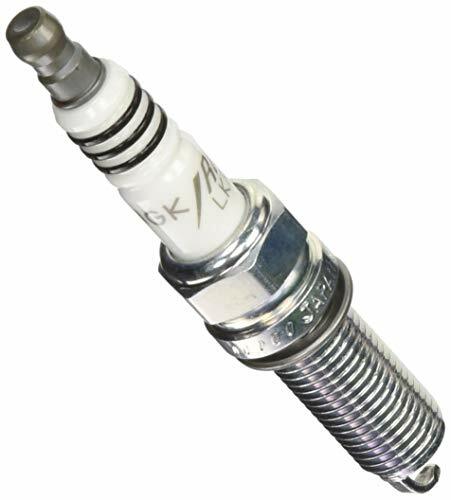 Step-by-Step Instructions for Installing New Spark Plugs Step 1 If necessary, set the gap on the new spark plug before installing it. In the past, it was necessary to use a gapping tool to make sure the gap in the spark plugs was the correct size. Today, Champion spark plugs come pre gapped, eliminating the need for this step most times. You should double check that the gap is correctly set; check your owner s manual to find the distance for the spark plug gap and use a gap gauge or feeler gauge to check the distance. Step 2 Seat the new spark plug by hand; turning it clockwise at least two full turns. Once you have the spark plug snug, use the socket wrench with extension and spark plug socket to tighten it turning the plug clockwise. The plug s washer should be pressed against the mounting surface. Take care not to over tighten the plug; you can strip the thread on the head of the engine leading to costly repairs. You can also use a torque wrench to torque it to specification (OE service or repair manual). Step 3 Replace the spark plug wire boot or ignition coil and wiring connector. A plastic boot should click into place while a rubber boot may require a coat of dielectric grease on the inside of the boot for easy removal next time. Step 4 Repeat the removal and installation process for each spark plug. That s all there is to it! If at any point you run into issues or have a question, consult your mechanic. These instructions are for informational purposes only and should not be used in lieu of seeking professional advice from a certified technician. We encourage you to consult with a certified technician if you have specific questions or concerns relating to any of the topics covered herein. Warranty: 7 Year Unlimited Mileage Guarantee Or The Manufacturer Recommended Change Interval Whichever Comes -- Last Excludes Commercial Or Performance Usage. ACDelco Professional RAPIDFIRE Single Platinum Performance Spark Plugs are designed for everyday use and are the high quality replacement ideal for many vehicles on the road today. These premium aftermarket spark plugs have high-quality suppressors that help prevent misfiring, an improved plug to boot seal, and a pure copper core for greater durability. 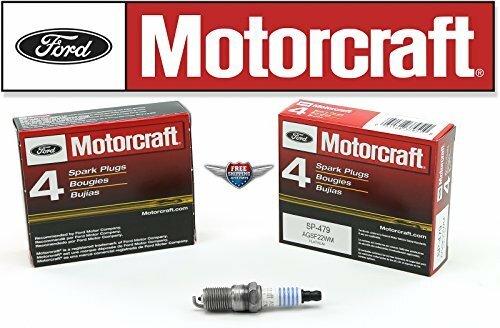 These premium aftermarket replacement spark plugs are manufactured to meet your expectations for fit, form, and function. Warranty: 3 Year / Unlimited Mile Limited Warranty (Parts Only). Please see ACDelco.com for more details. Materials: Double-Layer High Temperature Fiberglass. 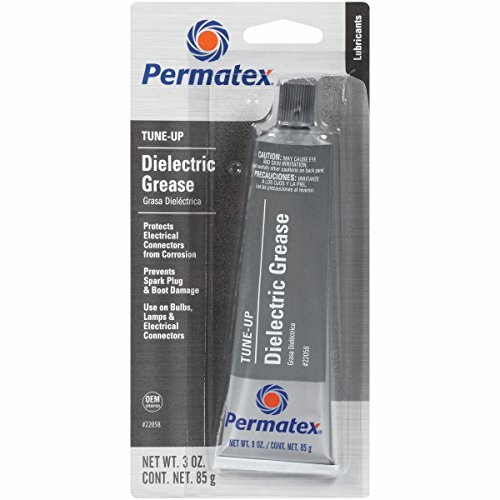 -- Helps prevent burn-through, hardening and cracking of boots. -- Non-flammable & protects against chemicals & resists water. -- Enhance the performance of the engine, extends lifetime of the wire & plugs. 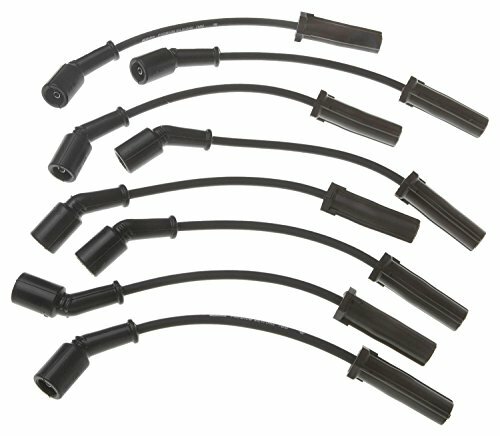 -- Protect plug wires and boots from excessive engine and exhaust heat. -- Keep your spark wire and spark plug cooler in a high temperature environment. 1. Fits most hot rods and classics engine including GM Chevy , GMC, OLDS, Cadillac, Pontiac, Buick, Ford, Chrysler, Dodge, Plymouth. 2. For most hot rods and classics engines, such as 265 283 305 307 327 350 383 400 396 402 427 454 472 502 260 289 302 351W 347 352 360 390 406 427 428 429 460 351C 351M 400M 273 318 340 360 361 383 400 413 426W 440 455 330 326 engines. NOTICE: ONLY FIT FOT VEHICLES WHILE BURNING PETROL. Fit This universal spark plug boot protector can fit most angled and straight boots,Can be used from ultimate race cars, street vehicles, to motor homes. 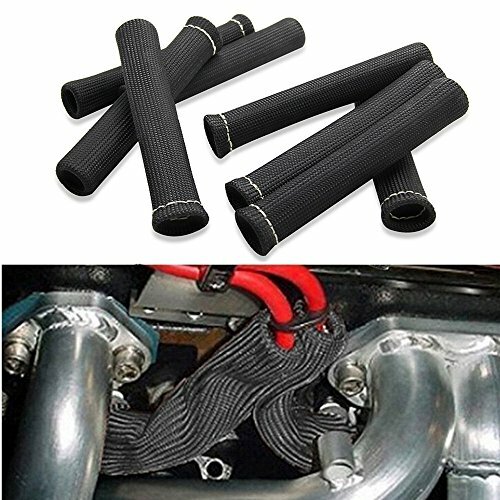 Function Spark Plug Wire Boot Sleeves look great, helps reduce misfires,Resists damaging chemicals, extends life of wire & boots.non-flammable & protects against chemicals & resists water, Protect spark plug boots and spark plug wires from Excessive Engine and Exhaust Heat. 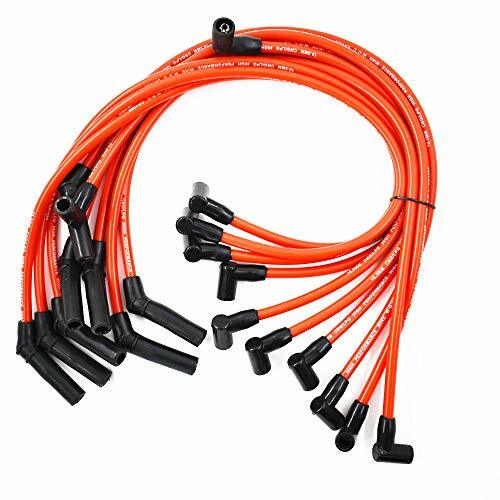 Easy Installation Just Slip On (Sewn End Over Spark Plug ) For Maximum Protection, Spark plug boot heat socks Can Withstand Heat Up To 1600 Degrees.Spark plug boot heat socks, protect your expensive plug wire set's performance and increase their lifetime. 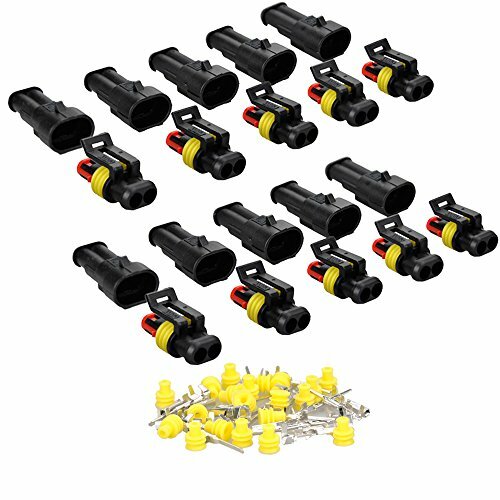 Compatibility 8pcs spark plug boot protector, Made from fiberglass material, fits All Spark Plug Boots And Wires Up To 1600 Degrees Fahrenhett. 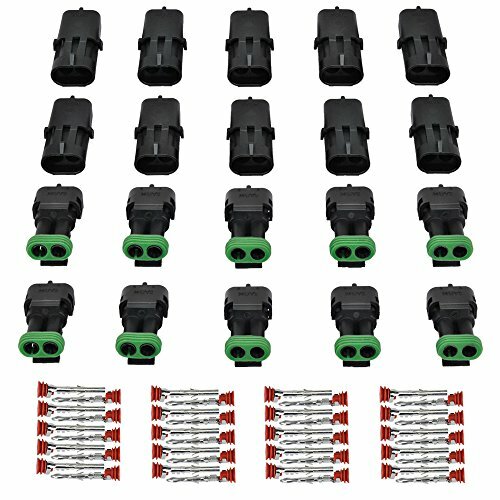 Superiority Each universal Spark Plug Wire Boots is 6inch Length, Boots Will Work With 90 Degree, 45 Degree, And Straight Spark Plug Boots, Set of 8 Black Spark Plug Wire Boot Sleeves,Made From Double Wall Braided Fiberglass Sleeving (Triple Wall At Sewn End).